Every once in a while I come across a story that buzzes so close to my job or my values that I feel compelled to talk about it. A few weeks ago articles blaming over-sized administration for tuition increases got me thinking about where that rise might come from. This week, it’s an article about academic advising. Last week, Kennesaw State student, Kevin Bruce, paid a visit to his advising office and was asked to leave — well, he was actually threatened with campus security. Rather than recap the story, I’ll pause for a minute to give you a chance to read it for yourself here or here. If you want to just skip to the video, see below. Once this student posts the video, it takes off a little; makes its way onto the Huffington Post and other sites. The twitter-verse bounces it around. This is where I start to lose track of what’s going on. Reading through his twitter feed, the #ItsBiggerThanKSU hashtag gets some steam. Is race a factor here? Given the racism systemic to our nation, race often plays a factor at some level. But it seems to me the point he’s trying to make is that many students at Kennesaw are not graduating in 4 years and he’s implying that student affairs offices are core part of a student’s ability to make that achievement. I’m with you Kevin, advising is important. And we need more (and apparently better) of it. If you dig a little — and I mean just a little — you’ll come across very mean words directed at both Abby Dawson and at KSU. Are they are fault here? To some extent, sure. But let’s not forget a few core values of higher education (get ready, I’m going to speak for an entire industry here): learning and development. If every doofus-moment led to fired employees, we’d end up in a world filled with doofuses and nobody actually working. If her supervisor and the human resources department are not in the process of a performance improvement plan with Ms. Dawson, now’s probably a good time to make that happen. If incidents like this continue to happen, it might be time to look into termination of employment. For anyone who’s not an advisor, the end of the term is when we are bombarded with student questions. This makes sense; courses fill and students need help finding resolved schedules which move them toward graduation. Some students are persistent with their questions. Often, students will reach out their advisor without consulting online documents at all. I hope that this was just a bad day for her. I hope that in the vast majority of her conversations with students, she’s pleasant. I hope. Regardless of whether the criticisms are justified, you can bet she’s had an awful week. Social media leaves little time for due process. 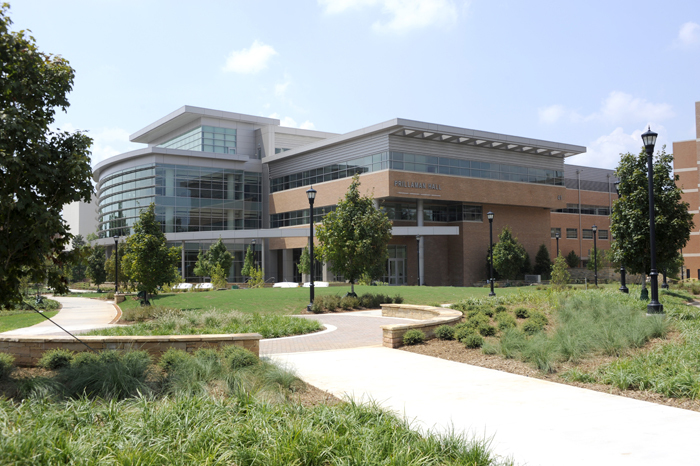 This entry was posted in by Mark Collyer and tagged academic advising, higher education, Kennesaw State by ohnoitsanassessmentblog. Bookmark the permalink.